This project has been limping along for years. And now my main focus is on my 1993 Toyota pick up. I am going to be counting on that truck to get me through the winter (2017 – 2018). I am trying to keep this 4runner off the salty winter roads for the rest of its life. This is not to say that I am doing nothing on the 4runner, but I am pouring a lot of time into the ’93 pickup. 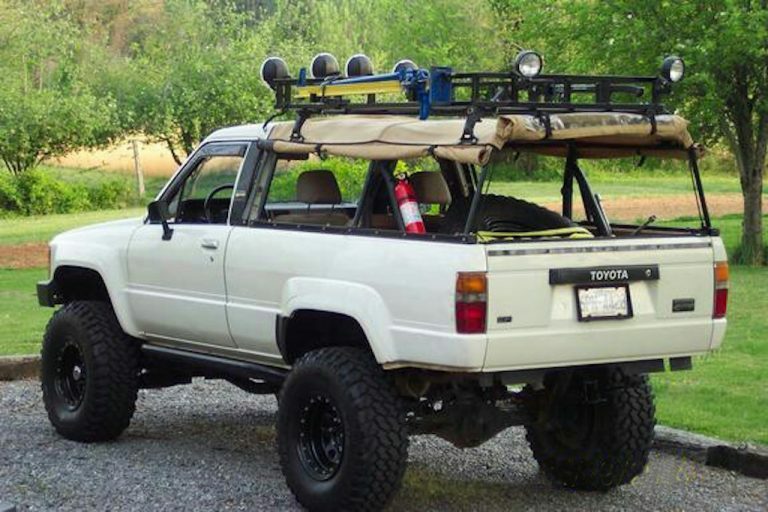 This is a picture of what I hope to achieve with my 4runner. 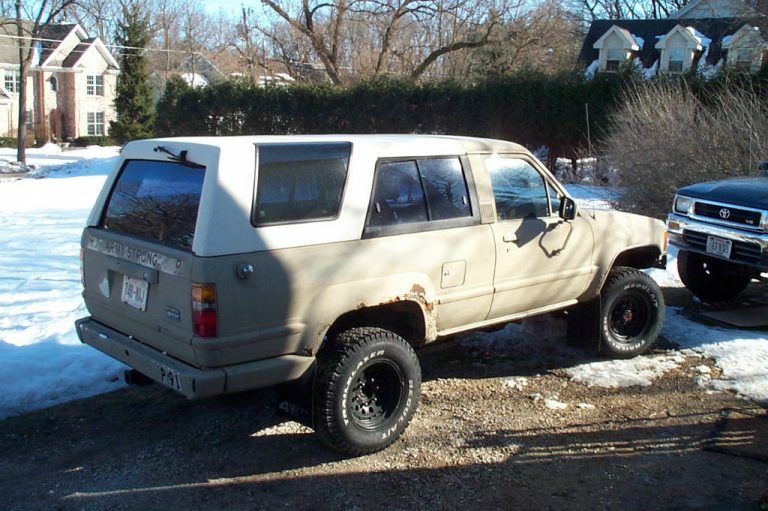 For Phase 1, I am thinking 33 inch tires with Toyota 8 inch axles front and rear. That would mean a solid axle swap for the front, which I would do in combination with a front coil spring suspension conversion, The rear would get 63″ Chevy leafs. In the short-term, the 3.0 V6, 3VZE engine needs a valve job and the automatic transmission needs to get yanked in favor of an R150F five speed manual. I have almost 2 sets of everything I need to do both the heads and the transmission changeover. I’ll begin that work as soon as the ’93 pickup is up and running. 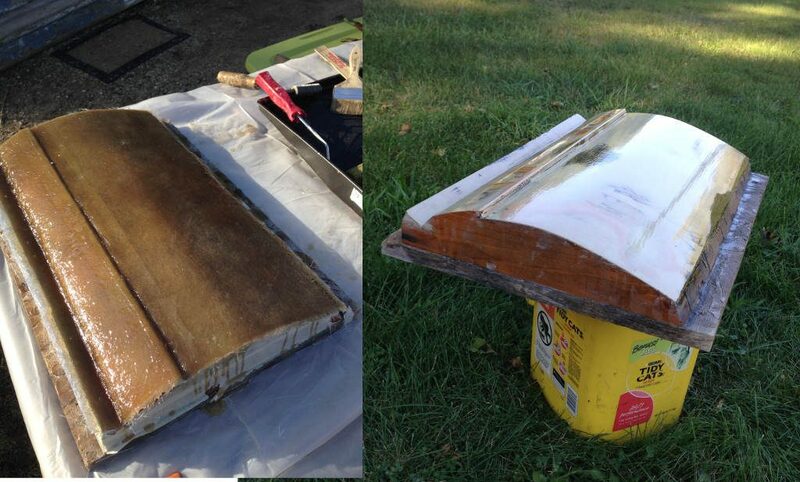 I am also right in the middle of rebuilding the quarter panels, which are pretty rusty. I made a mold of part of the quarter panel and I am trying to piece a few other sections together to rebuild the lower third of the quarter-panel. I plan to take a mold of that lower third once I have it in nice shape with the idea of selling lower third rust repair panels. 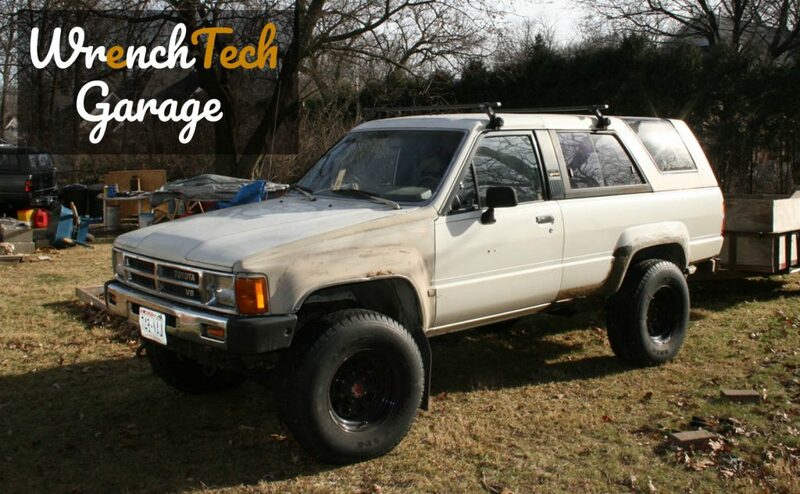 We all know how susceptible to rust the first generation four runner is in that quarter panel area. I’m thinking there will be lots of buyers if I make a good product. I wanted to get experience working with mandrel bends and v-band exhaust clamps so I made up a tailpipe for the 4runner. 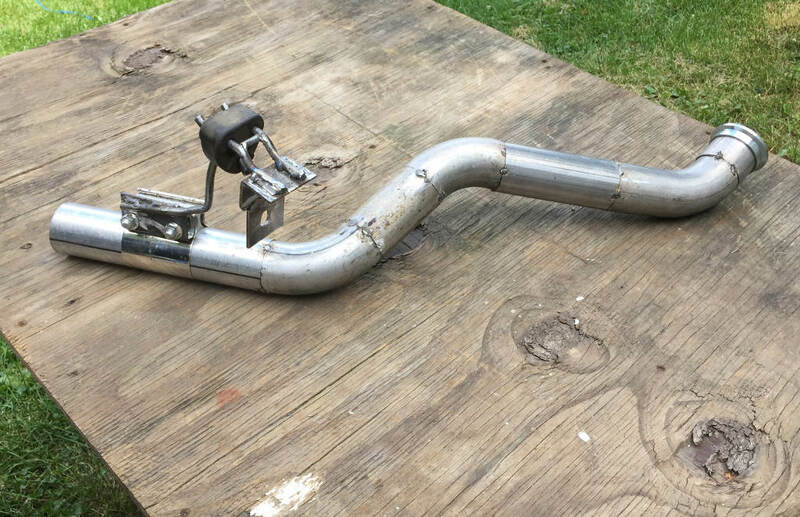 I installed a new muffler and made some hangers. I think it came out pretty good. The original alternator was going bad so I thought an upgrade to a bigger Nippon Denso alternator was in order. 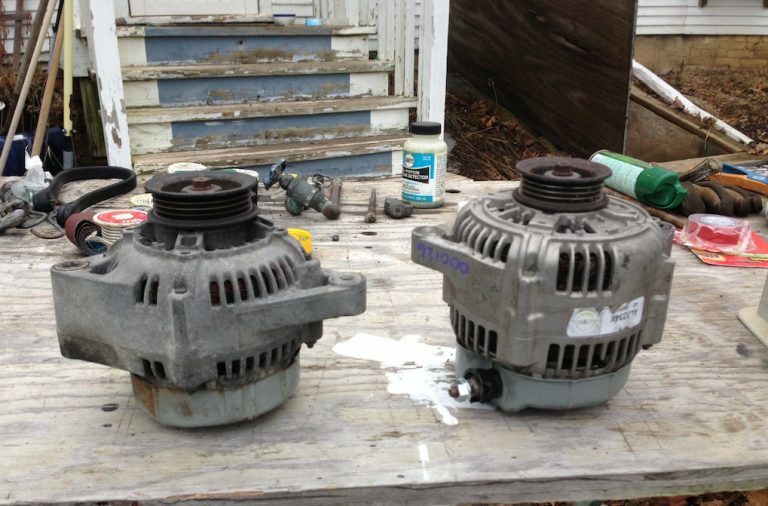 I chose an alternator from a 1992 Toyota MR2. The case is a good bit bigger, but it is a relatively easy swap. It’s mostly plug-and-play except for the bottom bracket, which needs to be lengthened by about an inch. I thought the charging wire should be upgraded, So I ran a #2 gauge cable from the alternator to the battery. I left the factory charging cable, which is only a #6 gauge wire, connected as well. The two cables are pretty much running in parallel. It seems to be working quite well. The first picture shows an early ’90s Toyota Celica seat installed in my 1984 Xtra Cab. I stumbled across these seats one day on eBay about 18 years ago! 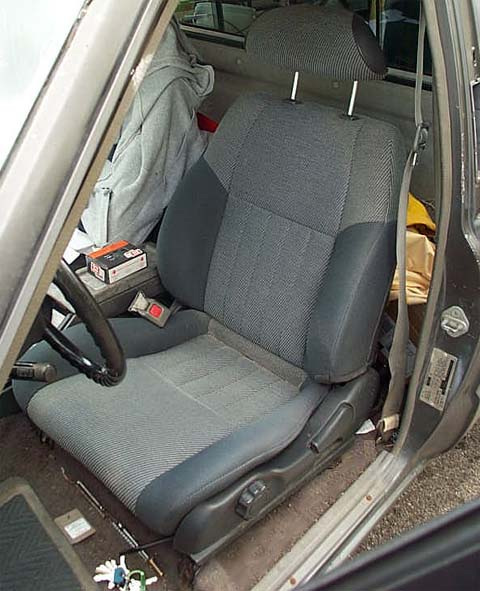 When I saw pictures, the Celica seats looked good, but I had no idea whether they would fit or not. When they arrived at my door I was happily surprised to find that they looked better in person than they did in the pictures. And when it came time to install them three out of four of the mounting points lined right up. 17 years later they have found a home in my ’89 4runner, but the driver’s seat is getting worn out, so I am on the lookout for a replacement. I would consider getting the same seats again, but it’s getting harder to find them in good condition as the years go by. After 17 years it might be time to try something new. 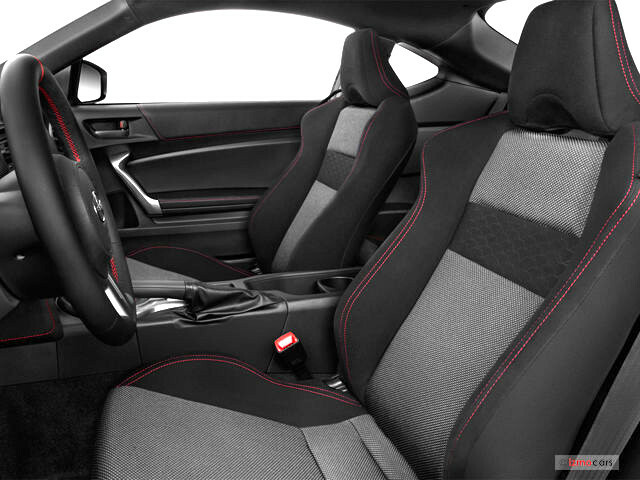 Seats from the 2013 and up Scion FRS/Subaru BRZ look pretty interesting. Whether they will fit or not remains to be seen.